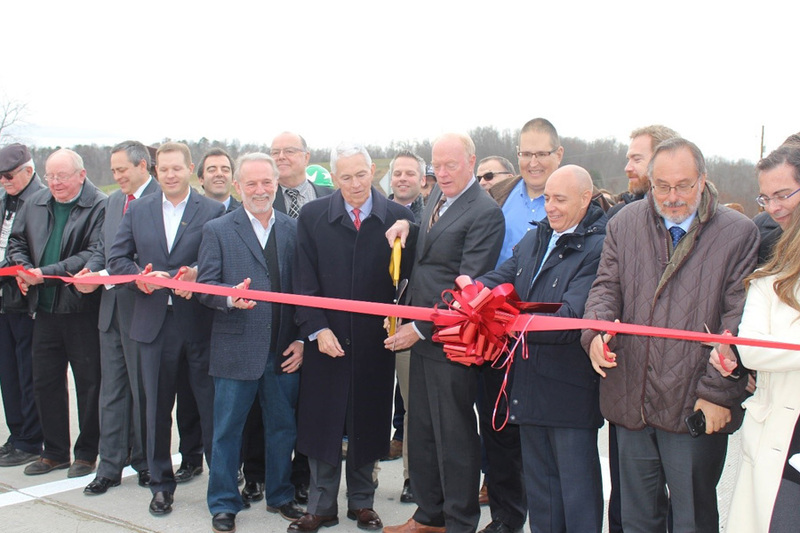 On December 13, the Ohio Department of Transportation opened the Southern Ohio Veterans Memorial Highway (Portsmouth Bypass) project to the traveling public. The project is ODOT’s first public-private partnership and the state’s single largest earthwork project to date. Building upon our successful involvement in the feasibility study for the Portsmouth Bypass, TranSystems was selected by ODOT in 2001 to complete the environmental phase and preliminary engineering phases of the project under ODOT’s Preliminary Development Process. The project is a 16-mile, four-lane divided, limited-access freeway through the challenging terrain of southern Ohio. A landmark project that helped define and streamline the environmental process within Ohio, the Portsmouth Bypass’ environmental phase included a detailed scoping process with several state and federal agencies. It is one of the first projects to incorporate ODOT’s recently developed Project Development Process (PDP). The environmental and preliminary design phase resulted in an environmental impact statement and Stage I plans for this new 16-mile freeway. The preliminary engineering phase of the project included the development of plans to the Stage 1 completion milestone. The plans were completed to 60% of final design and include over 16 miles of new four-lane roadway in hilly terrain with cuts and fills up to 200 feet in height, as well as earthwork quantities approaching 30 million cubic yards for excavation as well as embankment, 21 bridges (including five dual mainline bridges and five bridges over railroads), four interchanges, over 20,000 linear feet of culvert crossings, extensive post construction storm water best management practices (BMP), retaining walls, noise walls, interchanges lighting and one signalized intersection. 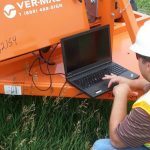 Our implementation of innovative modeling techniques provided significant savings in earthwork. In 2015, The Portsmouth Gateway Group (PGG) was selected by ODOT under the first-ever public-private partnership (P3) under the Design-Build-Finance-Operate-Maintain delivery method to design and construct the project. 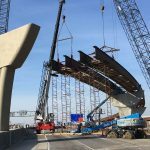 TranSystems was a major sub-consultant to the prime designer and was responsible for the design and plan preparation of 25% of the overall project which included approximately 5 miles of roadway and 8 bridges including 2 curved bridges over NSRR. The project’s design component began January 2015 and concluded in July 2016. The construction began in June 2015 and substantially completed in December 2018.